As of today, Into6 is a SAGE-AU Supporter, and SAGE-AU members are eligible for a 10% discount on Into6 training products. All you need to do is provide your SAGE-AU membership number when booking your training. System administrators are the often-forgotten heroes of the IT world. The networking people may keep the packets flowing, but ultimately it is systems and their users that make real things happen in the world, and it is the system administrators that keep those systems running. Sysadmins need a healthy dose of networking know-how to do their job, as these days just about everything uses the network one way or another. Email servers, web proxies, network attached storage, database servers – you name it, if it’s useful it’s probably networked. These days, networking know-how had better include IPv6, as enterprise after enterprise implements IPv6 across its networks. Configuring an email server to listen on an IPv6 address, for example, or dual-stacking a web proxy. Sysadmins rarely work in a monoculture. They may be configuring a Linux server one day, an NT server the next and a Sun database server the day after that. It’s not enough to rote-learn what buttons to press, because if you don’t know why you are pressing them, you are lost if pressing them doesn’t work. The cavalry isn’t coming – when you are a sysadmin, you are the cavalry! So you need to know how things work, how they hang together. 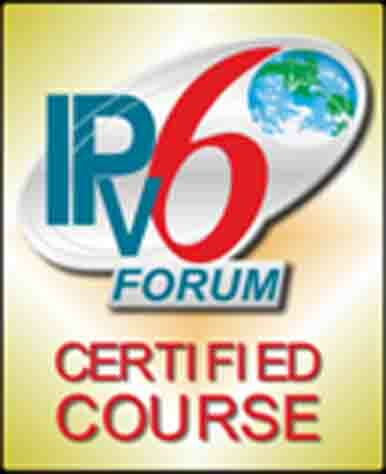 And that’s exactly what Into6 IPv6 technical training imparts – an understanding of how IPv6 “thinks”, in a vendor neutral and thus universally applicable way. The know-how you take away from an Into6 course is applicable immediately to any equipment running IPv6, in any operating environment.